"The Parable of the Ten Virgins" Illustrated in Chinese Costumes by a Christian. ​This work was given as a gift by Yan Yongjing. 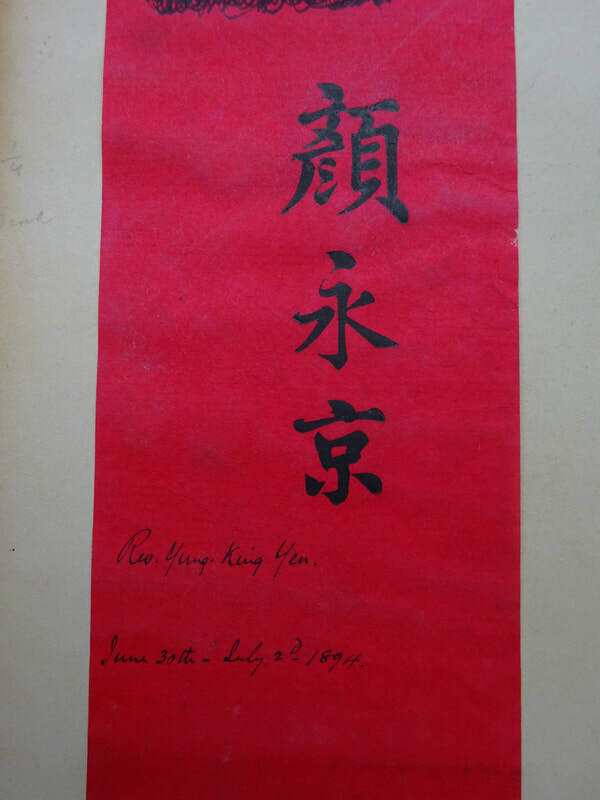 Chinese translator, professor, social reformer, and pastor who was instrumental in the founding of Central China University and St. John's College. 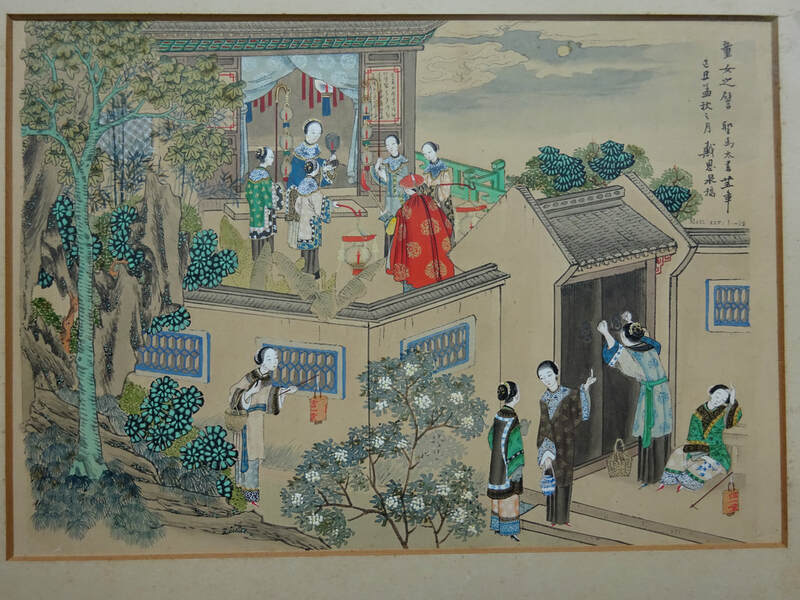 Yan Yongjing was born in 1838 in Shanghai. He had one brother and one sister. 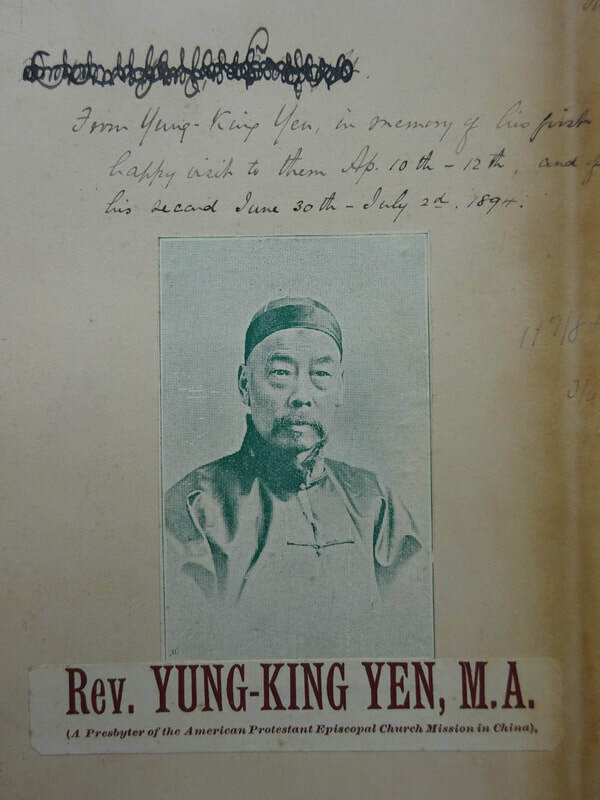 In 1854, Yan completed his study at the boarding school of the American Episcopal Church Mission in Shanghai, and travelled to the United States with one of his teachers. There he attended the preparatory school for Columbia University. During his undergraduate education at Kenyon College, he enjoyed baseball, skating and swimming, and was a member of a debate club. Yan graduated Phi Beta Kappa in 1861, and later earned an MA degree from Kenyon. 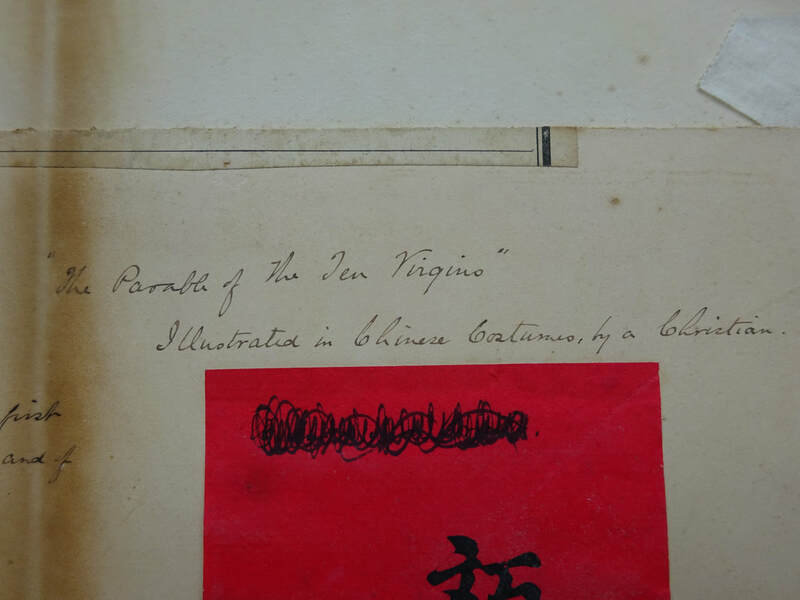 When Yan returned to China in 1861, he became a translator for the British Consulate, then worked at a Christian literature publishing company, and then the Shanghai municipal government. Yan was active in the local church where he taught Sunday school, ran church charities and prepared for the ministry. Upon ordination, he worked with the new bishop from 1870-79 to set up a mission and a boys’ boarding school in Wuchang, Hubei province, which would eventually grow into Central China University.